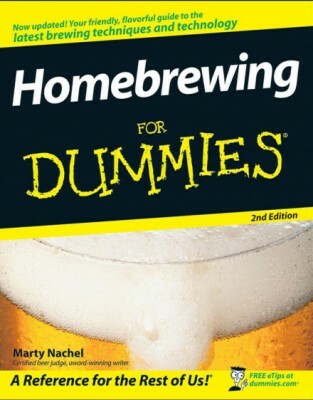 There’s a lot that you can learn brewing beer online, but if you’re like me, you also like to have a book in your hands. Here’s three of my favorite home brewing books that would be great for beginners just entering the world of making beer at home. They over lap in some places, so you could probably just get away with one, but if you’re like me, you’ll want to know everything there is to know about beer! This is the classic, written by one of the father’s of home brewing. And not only is this book written by a master brewer and founder and president of the American Homebrewer’s Association and Association of Brewers, it’s also broken down into beginner, intermediate and advanced sections. It’s perfect to read all at once, then go back section by section as your brewing progresses. Maybe not a classic, but widely read by many, many home brewers. This was a fun, easy read but still packed with loads and loads of information. 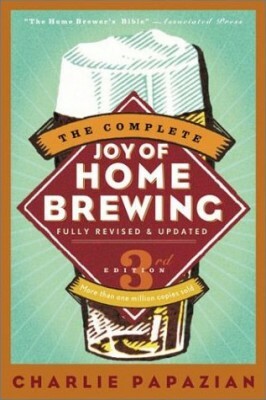 And basically if it’s about home brewing, it’s probably covered in this book. 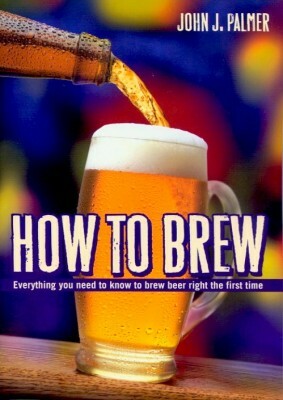 Another great book that covers the basics (and then some) of home brewing. I was expecting something dumbed down, but this book was loaded with information and great insights. Marty Nachel has been writing about beer since 1994 in one form or another and this is just one of his three books about beer. What books would you recommend for a beginning brewer? Previous article Happy National Beer Day!